Since the 1990s, Kubota and Mahindra have both established a solid presence in the United States. Commercial businesses and consumers choose Kubota or Mahindra tractors based on how well the equipment meets their unique needs. Ultimately, every customer wants to minimize equipment downtime and maximize productivity. Let’s look at some key areas that prospective buyers often consider in the Mahindra vs. Kubota debate. A clear and detailed assessment of your commercial or personal needs will guide your purchasing decision. 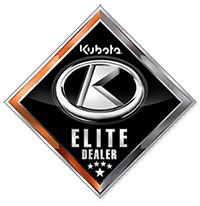 Kubota is known for its solid customer support and vast dealer network. Kubota has twice as many dealers in the United States as Mahindra does. There are approximately 1,100 authorized Kubota dealers and about 500 Mahindra dealers. In addition to outstanding customer support, some consider Kubota to be the best tractor for the money. Outsourcing is an issue to consider while deciding between a Kubota or Mahindra. Where are Kubota tractors made? Kubota tractors are manufactured by Kubota with engines built by Kubota. Kubota USA maintains multiple tractor manufacturing facilities in Georgia. Loaders and backhoes are also built in Georgia. Kubota’s engine facility is headquartered in Illinois. Although Mahindra has five assembly/distribution centers in the United States, it does outsource certain tractors, engines and accessories. For example, the Mahindra eMax 25 is actually a re-badged tractor manufactured by Tong Yang Moolsan (TYM). Mahindra also outsources engines from Perkins and Mitsubishi and loaders/backhoes from KMW. Business owners seeking maximum productivity consider operator comfort and ease-of-use. Kubota tractors emphasize spacious design and intuitive controls. Landscapers, farmers and others who need to use a tractor for lengthy periods of time will appreciate the comfortable high-back seats with lumbar support. Kubota tractors also offer the quick access you want for easy maintenance checks. Although both companies offer a series of engines that meet diverse needs, Kubota’s compact diesel engines are leaders in their class. In fact, Kubota is the world’s foremost manufacturer of non-automotive, under 100 horsepower, multi-cylinder diesel engines. In many commercial applications, higher speeds equal enhanced productivity. Before making a purchase decision, customers frequently compare the Kubota L3301, which can reach a speed of 14.1 mph, with the Mahindra 1533, which can reach a speed of 11.9 mph. Mahindra’s larger wheels and bulkier build provide added lift height and capacity that are sometimes advantageous in certain working environments. A robust rear end can accommodate some larger, heavier accessories. However, bigger is not always better when it comes to tractors. The more compact dimensions of Kubota tractors make them more maneuverable, improving access in tight situations. Operator presence control is an important safety feature offered on Kubota tractors. The system automatically turns off the engine when the operator leaves the seat while the tractor is moving or when the PTO is engaged. By comparison, the Mahindra 1533 does not have this feature. At Bobby Ford Tractor and Equipment, we’d welcome the opportunity to answer your Kubota vs. Mahindra questions. Our team stands ready to match tractor specs and accessories to your special requirements. Ultimately, matching your unique needs to the right tractor is the key to maximum productivity and satisfaction. The Kubota name is synonymous with reliable, quality tractors designed for many tasks. Select from subcompact, compact, utility, specialty and agriculture tractors. Kubota also offers tractor loader backhoe options. We are an authorized Kubota dealer serving the greater Houston area and beyond from our headquarters in Angleton. For prompt, professional and friendly assistance, please contact us online, or call us at 979-849-5400 today!